iRig Mic Lav - Two mics are better than one! 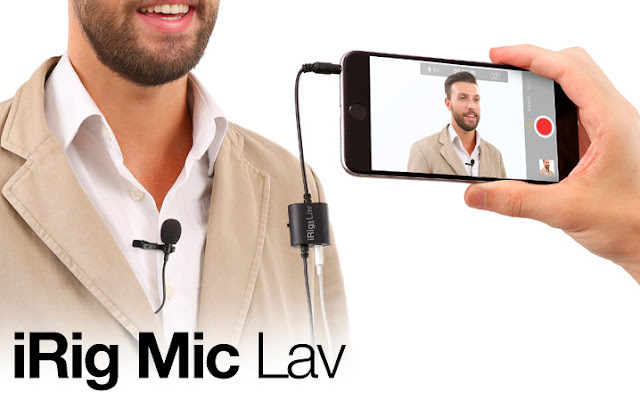 The iRig Mic Lav is the first ultra-affordable, chainable lavalier microphone with built-in real-time monitoring capability that lets you record superb hands-free audio on your iPhone, iPad and Android. With its omnidirectional condenser microphone, you can pick up sound from all directions! And with its built-in monitoring capability, the iRig Mic Lav is perfect for mobile broadcasting and recording. Plus, what makes iRig Mic Lav truly unique is the ability to chain two of them together to use with one device — perfect for recording interviews and conversations. iRig Mic Lav is available now for $/€49.99 from music and electronics retailers worldwide and from the IK Web store. 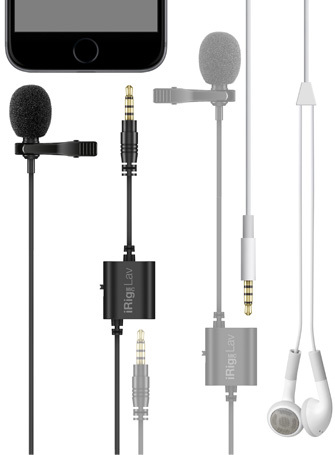 iRig Mic Lav is also available in a 2 Pack (iRig Mic Lav 2 Pack) for only $/€79.99 and will be shipping soon.